Our design service fee can range from $197 an hour and up, depending on the service. 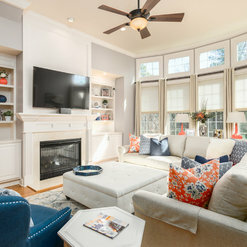 Raleigh's Personalized Interior Design Company | Best of Houzz 2019! 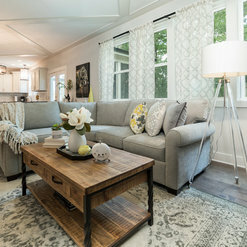 I selected Tranquil Designs based on the fact that all reviews confirmed that Deri and her team were very understanding and respectful of each person's own style - i.e., I wanted to make sure the house would look like it still belonged to me after the work was done. And it was so true ! Deri and her team were quick to understand my style and preferences, and worked with them. Deri is creative and resourceful, was able to reuse some of my pieces of furniture and decorations, and works tirelessly to present options until the client is happy and comfortable with the choices. 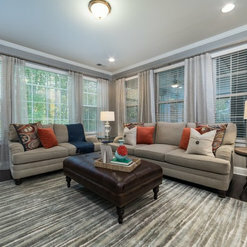 The results were elegant family, dining, and sunrooms, which flow with the rest of the home, have nice pops of color, and still look like they belong to my home. When working with Deri I know everything would get done and done beautifully. She knows where to go and how to work with. She listens and makes the space better than you ever thought it could be! 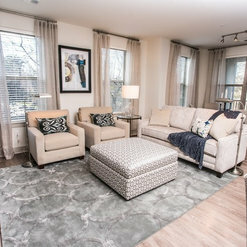 Deri and her team at Tranquil Designs did an excellent job with staging our home before going on the market. 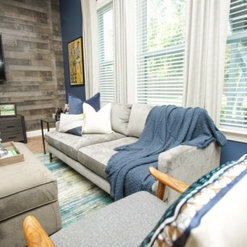 They transformed our 20 year-old home into an updated model home. Our house sold in less than 24 hours. She and her team also helped with making our new home a beautiful showcase. She included practical elements based on our style and personality with her elegant touch and attention to detail. Deri is "hands-on" with her projects. She was also well known and respected by the various vendors and contractors we worked with on both projects. We highly recommend Deri and Tranquil Design Team. Deri and her team designed our new home and did a wonderful job! The house was empty as we were just moving to N.C. so she had a clean slate and only ideas of what we might want and she hit the nail right on the head! We’re so happy with how everything turned out. I would and have recommended Tranquil Designs! 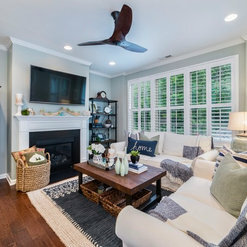 Deri and her team provided excellent recommendations for a full house renovation. Their experience is evident as the proposed solutions were thorough and thoughtful. I really appreciated the verbal and written communication, which made the process work smoothly. 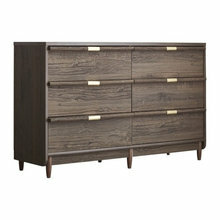 I look forward to working with Tranquil Designs on future projects. Thanks Mr. Lodge, it was a pleasure working with you as well. I can’t wait for phrase 2. Working with Deri was a real pleasure. 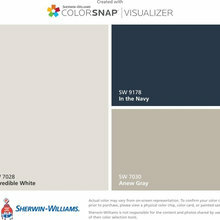 We initially asked her to help us choose interior colors for our newly constructed home. We were so pleased with the result that we hired her to furnish our living and kitchen areas. The results exceeded our expectations. Deri is very professional, very talented and a delight to work with. Highly recommended! Thanks for allowing me to be creative, I truly appreciated your trust in me. It was my pleasure working with both you and your wife. I wish you and your family all the best, thank you! Working with the team at Tranquil Designs has been a pleasure! Deri and her team were attentive to our needs and detail. 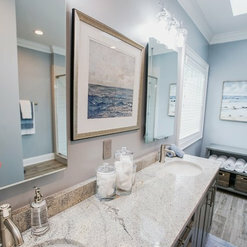 They worked through many add-ons and change orders, worked well with our construction remodel team, and brought in many small touches that we would have never thought of. She made our new house into our home and we are grateful! Thanks Beth, your family was a pleasure to work with. 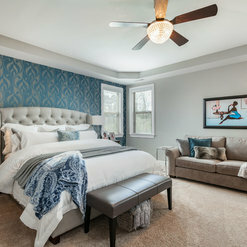 I had fun helping you create a space that your family can enjoy! I worked w/Derri on my whole house renovation. I told her what I was looking to do and my budget. Helped me decide where to spend the money. She also worked to get estimates from contractors that were within the budget. I enjoyed working w/Derri. In the end no room was left untouched and I am very happy with the end result. To quote my daughter, "Dad you brought this house out of the 90's"
We bought house and desired to turn it into a lovely home. Deri was the first interior designer I contacted and after our first meeting I knew she was the right person to help us create our home. I wanted the home to focus on my two children and their rooms was most important to me. My daughter quickly developed a wonderful relationship with Deri and we couldn't be more happy with her room. Der's ability to capture what her clients desire is a rare gift. My son selected Star Wars room and he was mesmerized when he first walked into his room. The rest of the rooms--master bedroom, living room, and reading room and dinner room were left for Deri touring to life. I find myself too busy to be involved in making any selection for the rooms. I'm very happy with my master bedroom, living room and dining room. My favorite place is the reading/office. I love the ambiance in the house. Very relaxing and we utilize every space. We got a house and Deri turned it into a home. I'm look forward to using Tranquill Designs to design our dream custom home in the near future. I'll recommend Deri to any one who wants to create a home. Deri is not an interior decorator, she's an interior designer. Dramatic transformation! 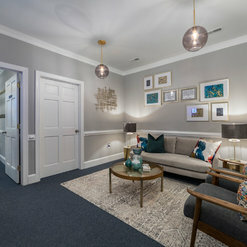 My husband and I hired Deri and her team to help us update the first floor of our home, (dining area, living room and designing a home office). The change is amazing! Working with the Deri and Jesse was a pleasure. They didn’t come in with a predetermined design, rather they openly sought our input and collaborated with us throughout the entire project. We will update the second floor of our home next year and no doubt Deri will be the first and only person we contact! We loved working with you guys as well. It was such a pleasure, and we look forward to future projects. 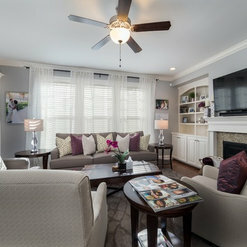 Tranquil Design LLC is a wonderful design company! Deri was extremely attentive to the vision that I had for my home. She was able to execute the design and bring it to life. Her assistant Kyle was there to assist in any way as well. We couldn’t be happier with the services, and will use them again for future projects . What a loving person with such a beautiful talent! Thanks Katrina, you are a beautiful soul. It was my honor to help you, I appreciate your kind words. 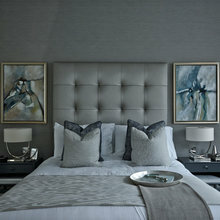 Deri is an absolute pleasure to work with for any interior designer. I was skeptical about hiring an interior designer, but as soon as I spoke to Deri and saw her work I knew she was the right fit! She was very knowledgeable, she’s patient, she takes the time to understand your vision. Deri walks with you every step of the way. She makes you feel confident and relieved about getting your dream design. I will refer Tranquil Designs to anyone that needs quality design services. Thank you Deri for making my living space come to life! Thanks Monique, the pleasure was all mine. It was a breath of fresh air working with you. I hope you continue to enjoy your new space. God bless! Commented: dining room beautyThanks, Sherwin Williams Needlepoint Navy. Commented: area rug in living roomThat rug was purchased at Homegoods, I have no idea who’s the manufacturer.